The future of foiling may be all chicken winged, if the latest from foiling design leaders VPLP is anything to go by. Called Voilavion, it’s a little black windmill of a 16-foot cat designed to be easily foiled by beginners at sailing schools, clubs, resorts, and the like. 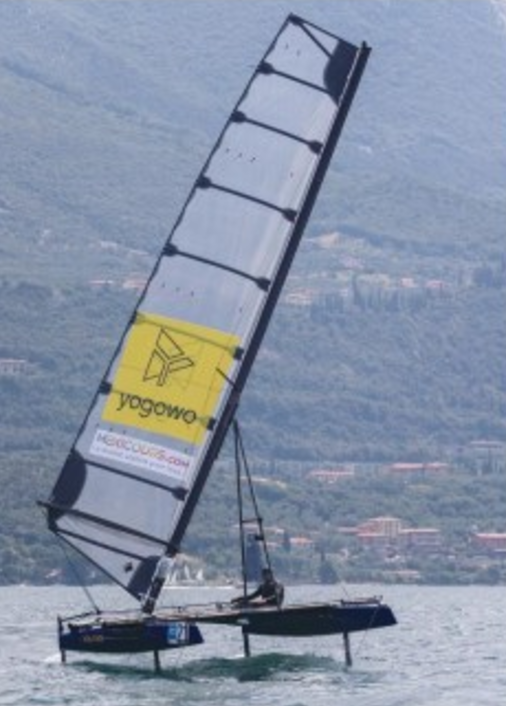 This certainly ain’t the first tilting rig, but it would be the first to use a tilted rig to help a boat get – and stay – on the foils in little more than a mosquito fart. Makes sense in theory and on paper, and time will tell if reality corresponds to the thinking.